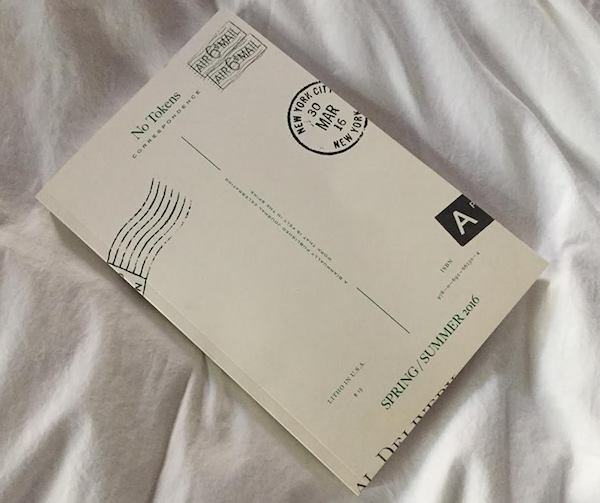 Tuesday night was the launch party for the fifth issue of No Tokens. We were back at the Center for Fiction, who gave us a green room and made us feel like rockstars. The readings were all amazing, and I was once again knocked out by the real diversity of our contributors. Not in the superficial way that people throw the word diversity around now, that encourages the tokenism we’re fighting – in the true way, where each person had an utterly unique voice and point of view. Equally heard, and celebrated. It was astonishing to hear them all cuddled up together, literarily speaking, and I am grateful for the night. This entry was posted in Uncategorized on 29 April, 2016 by leahs.